Rather it shines by reflecting sunlight. shooting star. 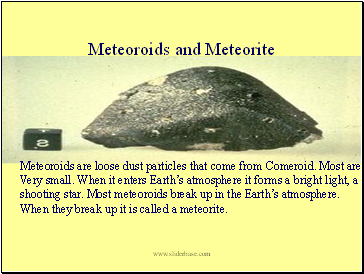 Most meteoroids break up in the Earth’s atmosphere. 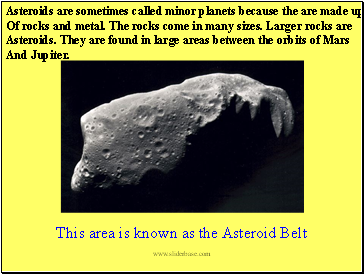 When they break up it is called a meteorite. 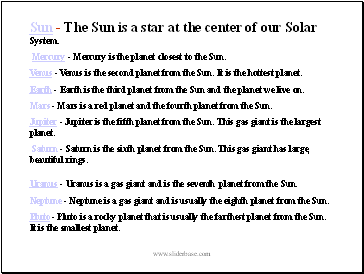 Sun - The Sun is a star at the center of our Solar System. Mercury - Mercury is the planet closest to the Sun. Venus - Venus is the second planet from the Sun. It is the hottest planet. 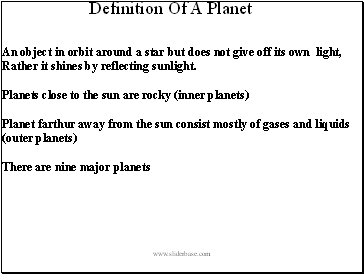 Earth - Earth is the third planet from the Sun and the planet we live on. 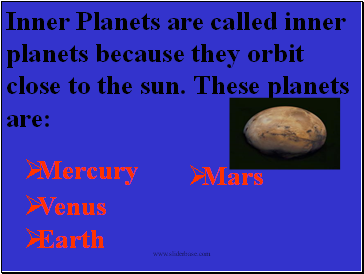 Mars - Mars is a red planet and the fourth planet from the Sun. 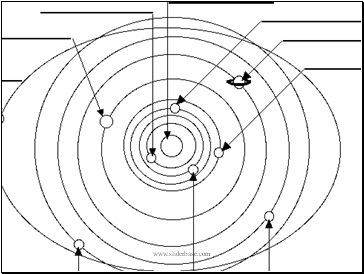 Jupiter - Jupiter is the fifth planet from the Sun. This gas giant is the largest planet. 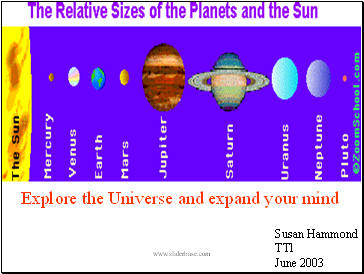 Saturn - Saturn is the sixth planet from the Sun. This gas giant has large, beautiful rings. 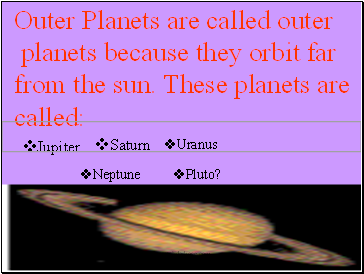 Uranus - Uranus is a gas giant and is the seventh planet from the Sun. Neptune - Neptune is a gas giant and is usually the eighth planet from the Sun. 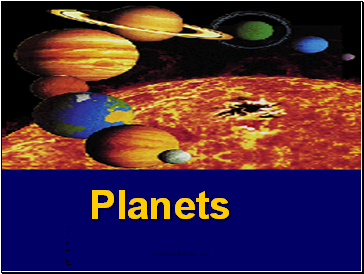 Pluto - Pluto is a rocky planet that is usually the farthest planet from the Sun. It is the smallest planet.